This set of plain black and white subtraction flash cards has subtraction facts for 8’s for numbers 0-20. It includes three pages in black and white. 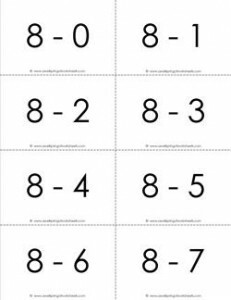 Please go to this page to see all the subtraction flash cards for 0-20 in this set.